Asia Satellite Telecommunications have signed up Sea Launch to provide the backup option of launching “a future AsiaSat satellite” on their Zenit 3SL. Currently, both AsiaSat 6 and 8 are manifested to ride on SpaceX’s Falcon 9 in 2014, meaning the arrangement with Sea Launch will allow for on-time delivery in the event Falcon 9’s schedule becomes too busy. Back in February of this year, SpaceX announced the launch services deal with AsiaSat to launch AsiaSat 6 and 8 on SpaceX’s Falcon 9 in 2014. The deal effectively saw Asia Satellite Telecommunications switch from using International Launch Services (ILS) – and their Proton-M launch vehicle – to SpaceX. AsiaSat is the leading satellite broadcasting and telecommunications in Asia Pacific, opening their operations with AsiaSat 1 – Asia’s first privately owned regional satellite – in April 1990. AsiaSat-1’s history began under the call sign of WeStar 6, a satellite that took a ride into space inside the payload bay of Space Shuttle Challenger during her STS-41B mission. 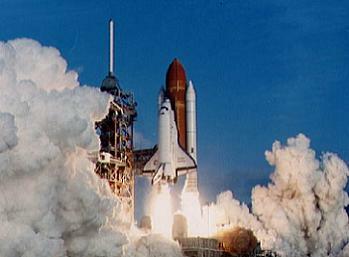 Challenger lifted off on February 3, 1984, on her fourth launch to begin the 10th Space Shuttle mission. However, WeStar 6 – and fellow passenger Palapa-B2 – suffered a troublesome beginning, after the satellites failed to properly fire their PAMs (Payload Assist Motor) after deployment, meaning they could not reach their desired GeoStationary orbits and were stranded in a useless LEO trajectory. Challenger’s sister, Discovery, came to the satellite’s rescue later that year, as STS-51A launched on November 8, 1984 with a brief that included the retrieval of the duo for return and refurbishment on Earth. Given a second life, AsiaSat purchased the WeStar 6 satellite and relaunched it as AsiaSat-1 on a Chinese Long March 3 rocket in 1990. AsiaSat currently owns and operates four satellites AsiaSat-3S, AsiaSat-4, AsiaSat-5 and AsiaSat-7. AsiaSat-1 is no longer in service. AsiaSat-5 – launched in August, 2009 via an ILS Proton-M – was placed into orbit as a new generation satellite, equipped with the latest technology and new beam coverage to provide highest quality television broadcast, telephone networks and VSAT networks for broadband multimedia services across Asia Pacific. In addition to a very powerful pan-Asian C-band footprint and the improved Ku-band East Asia beam, AsiaSat-5′s Ku-band South Asia and in-orbit steerable beams were designed to serve new market requirements and to offer full backup capability in network coverage with AsiaSats existing satellites AsiaSat-3S and AsiaSat-4. AsiaSat-5 replaced AsiaSat-2 at 100.5 degrees East. 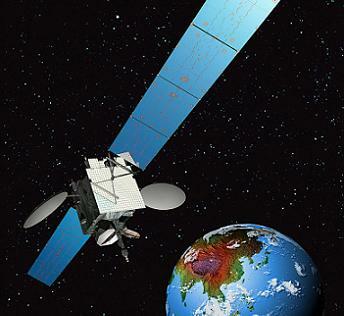 AsiaSat-7 was designed as a replacement satellite for AsiaSat-3S at 105.5 degrees East. This new generation satellite sports 28 C-band and 17 Ku-band transponders as well as a Ka-band payload. Its region-wide C-band beam covers over 50 countries across Asia, the Middle East, Australasia and Central Asia. AsiaSat-7 also offers 3 Ku-band beams with intra beam switching capability, serving East Asia and South Asia, and a steerable Ku beam. AsiaSat-7 is providing satellite capacity for television broadcast and VSAT Network services across the Asia-Pacific Region. The 3,813 kg (8,406 lbs) satellite – launched from the Baikonur Cosmodrome in Kazakhstan on November 25, 2011 by an ILS Proton-M – was built by Space Systems/Loral and is expected to enjoy 15 years of service in orbit. The next two AsiaSat birds are set to make orbit in 2014, with AsiaSat-6 sporting 28 high-powered C-band transponders, while AsiaSat-8 will have 24 Ku-band transponders and a Ka-band beam. The high-powered transponders on the satellite will enable the use of small antennas on the ground. The two SS/L 1300 satellites will serve Asia, the Middle East and Australasia. Both satellites remain manifested to SpaceX for launch via the Falcon 9 out of Cape Canaveral. However, as is sometimes customary, AsiaSat now have a backup option to launch at least one of the satellites on a Sea Launch Zenit 3SL, in the event SpaceX’s manifest suffers from slips. The other satellite already has a backup option on an ILS Proton-M. The agreement is unlikely to be directly related to Falcon 9’s public tantrum during its launch with the CRS-1 Dragon, when one of its engines failed. However, with the CRS-2 Dragon slipping until at least March, 2013 – partly due to the ongoing investigation into the engine failure and partly because of the International Space Station’s visiting vehicles schedule – SpaceX’s schedule is somewhat tighter than it was at the time of AsiaSat’s agreement with the Californian company. Commercial launches still make up the majority of SpaceX’s schedule, with an order book projected to lead to a potential flight rate of 20 launches per year, once the new Falcon Heavy matures. As such, AsiaSat have signed the option with Sea Launch to protect against schedule constraints, in order to ensure timely delivery of their birds on orbit. The new Sea Launch Company, formed since the old company went out of business over two years ago, are currently preparing to launch their fourth sea-based mission with the Eutelsat 70B satellite scheduled for lift-off on December 3. 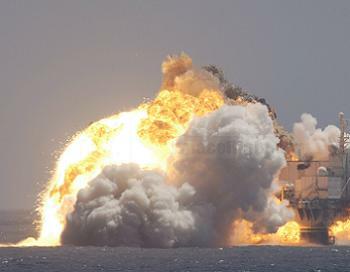 The old company’s demise came just a year after they returned to flight in January, 2007 – following the major impact of the failed launch which occurred with the NSS-8 communications satellite for SES New Skies, after the vehicle exploded on the launch pad, destroying both the vehicle and satellite. (Over 300mb of exclusive multi-angle video and hi res photos – available in L2 – LINK). 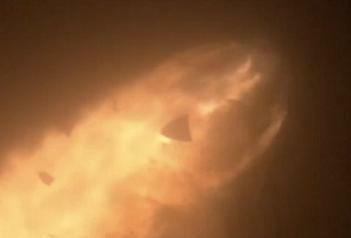 (Images via L2, SpaceX, Sea Launch and Boeing).